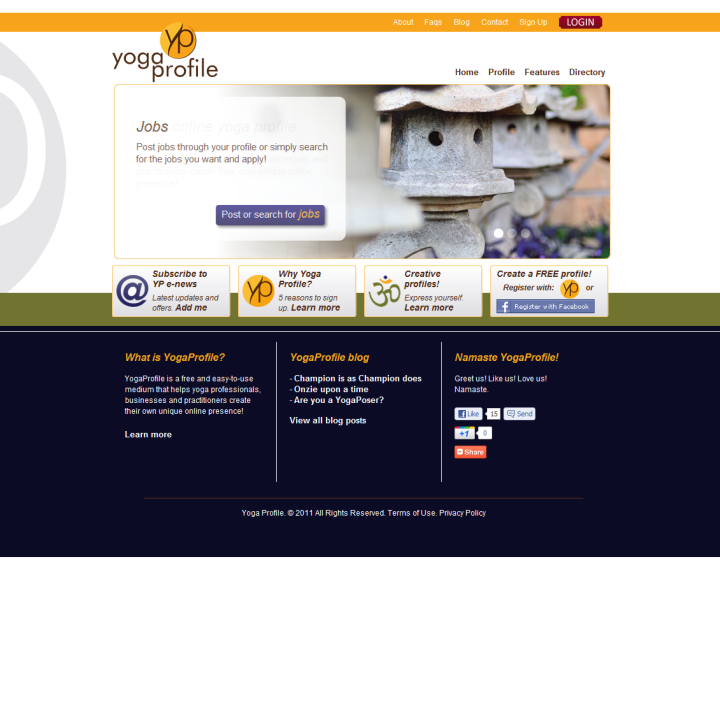 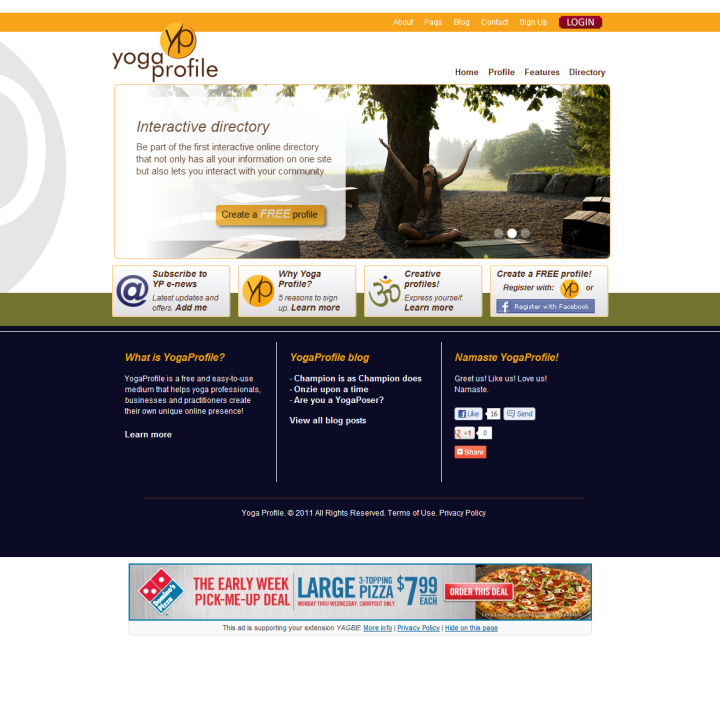 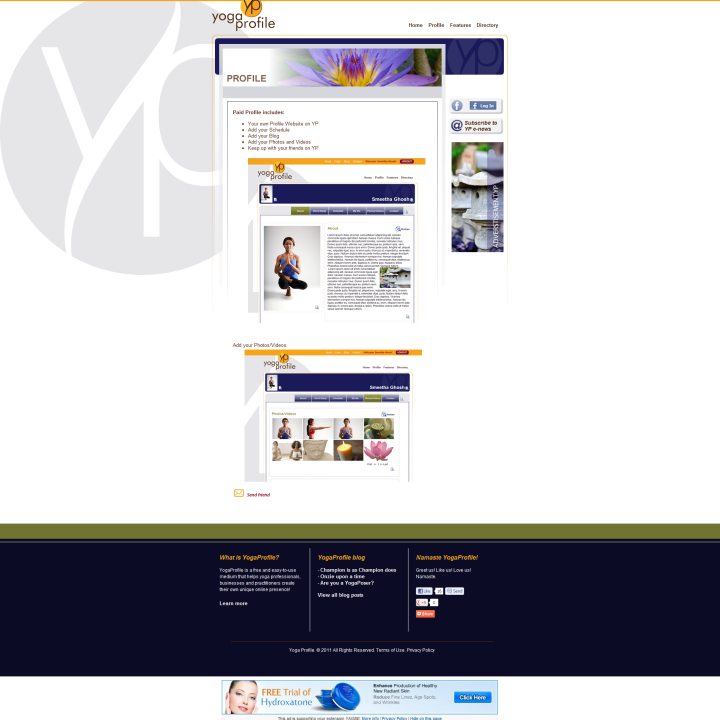 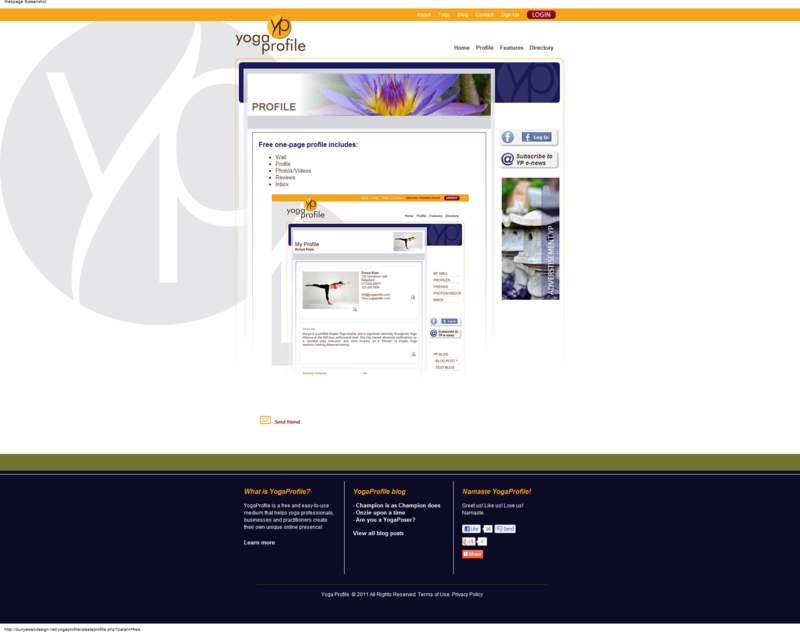 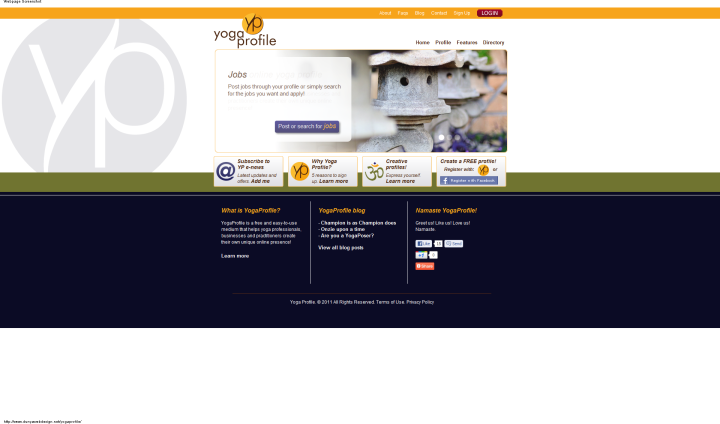 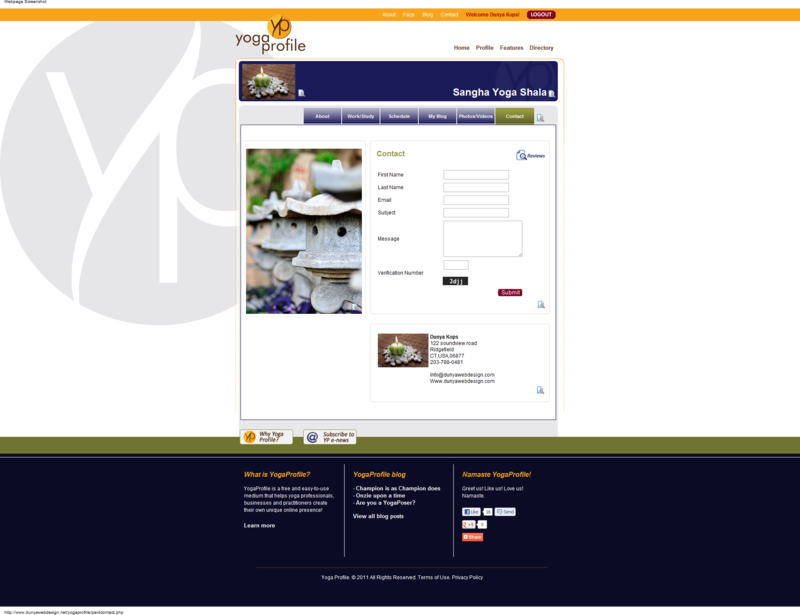 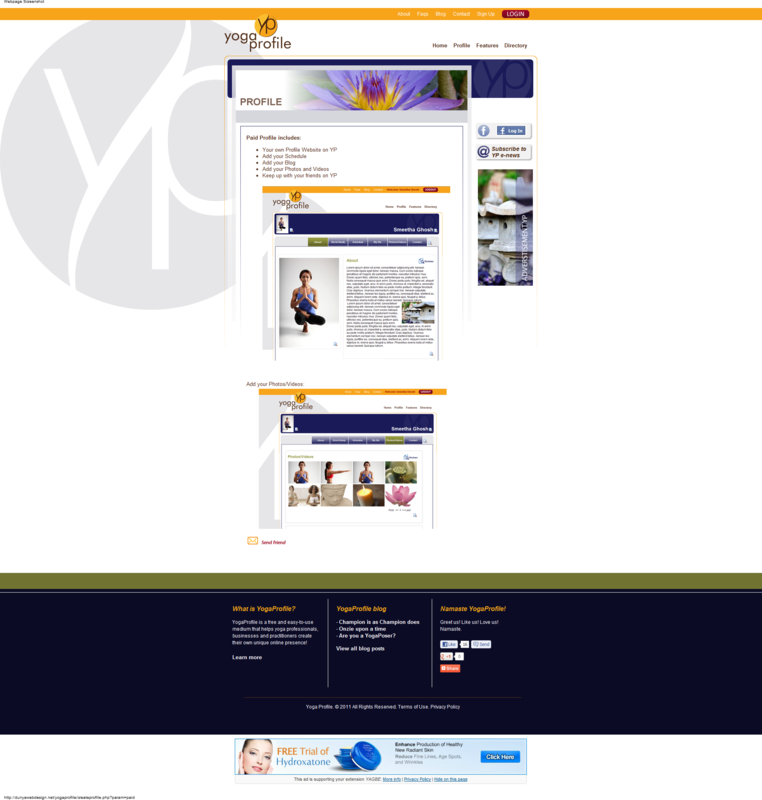 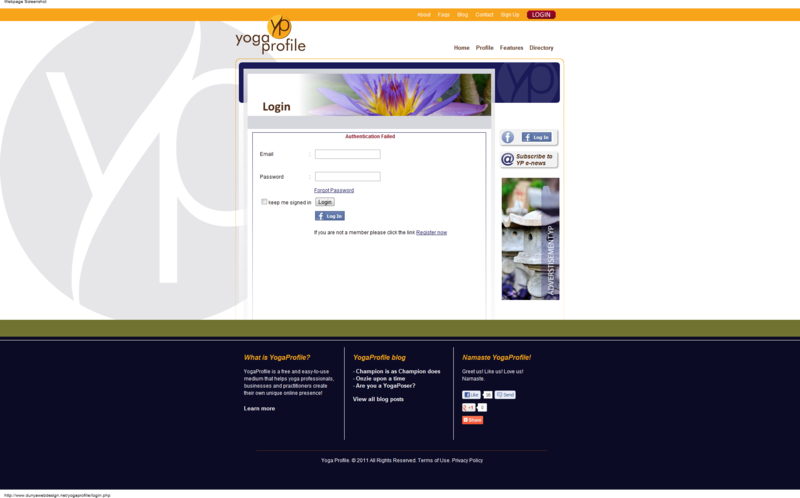 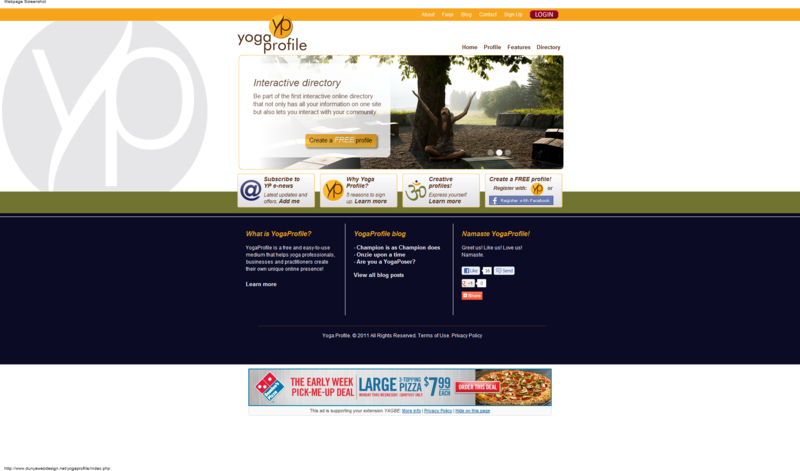 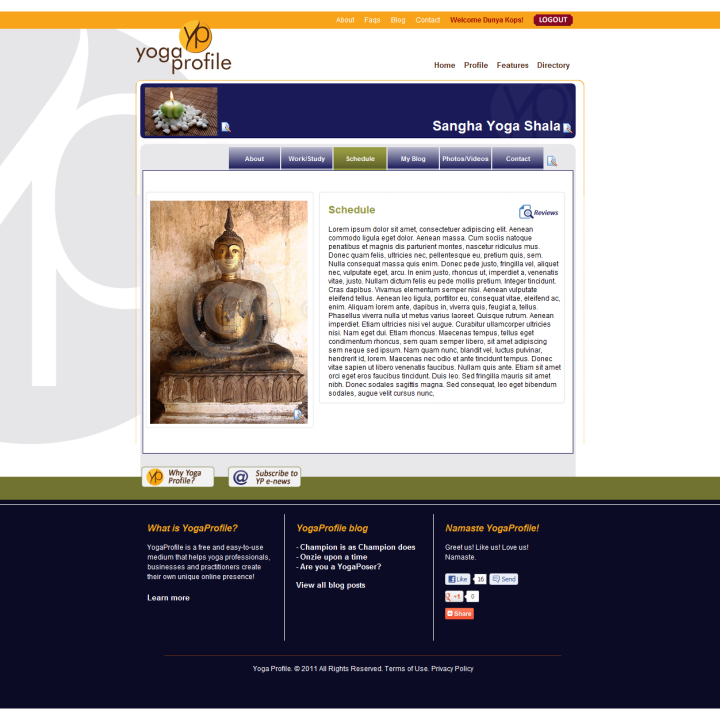 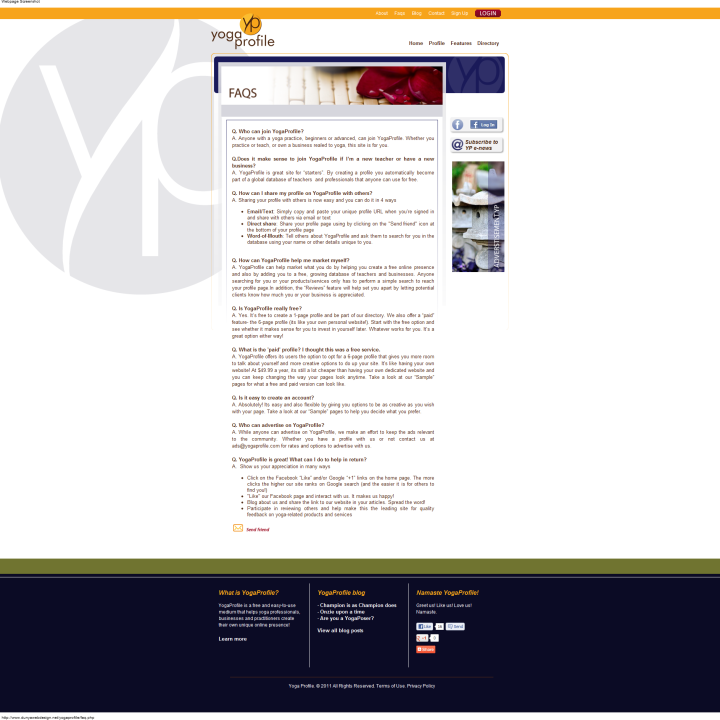 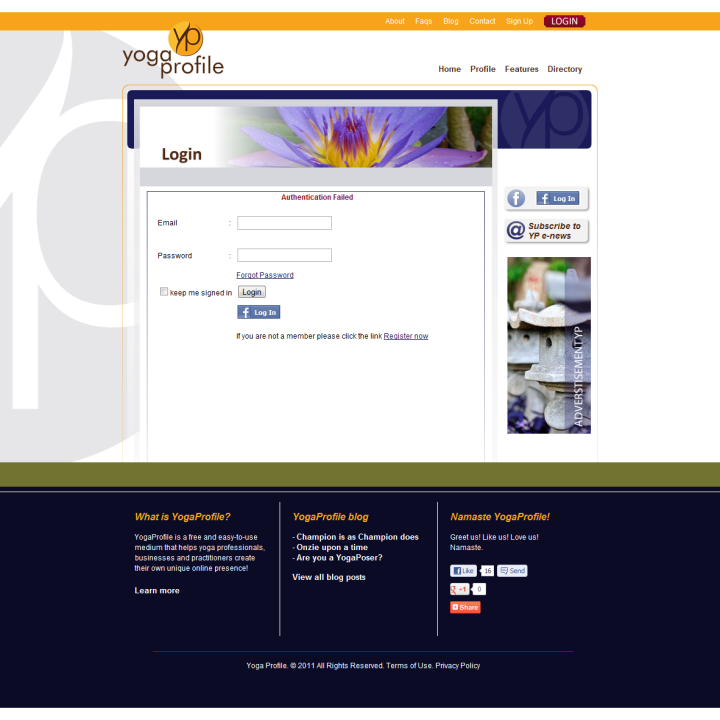 Yoga Profile was a project that I worked with Dunya Kops on. 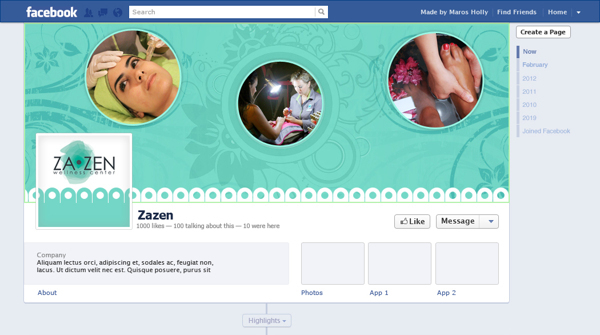 She is a graphic designer. 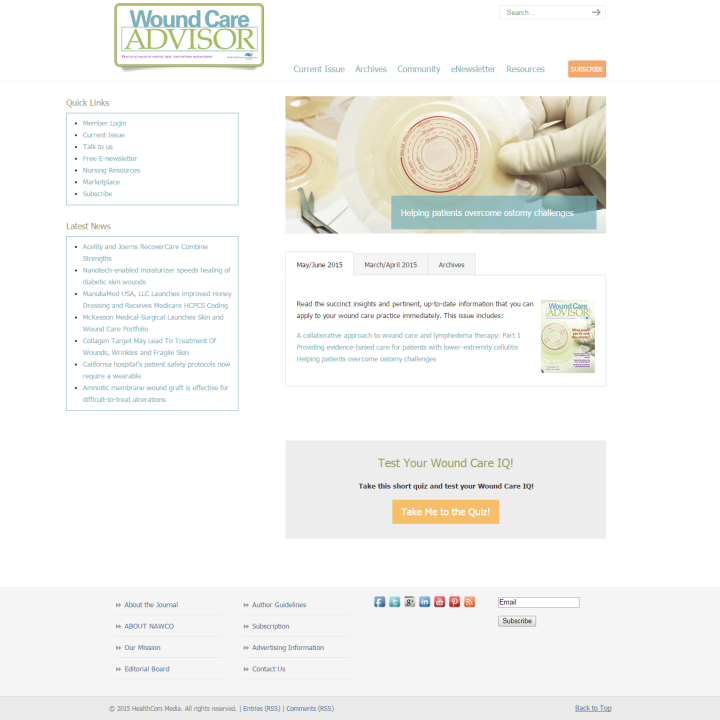 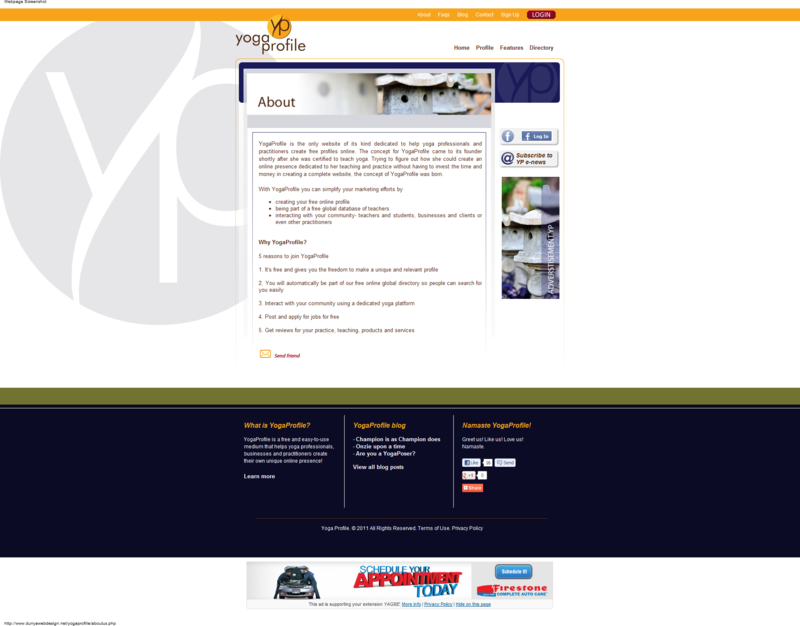 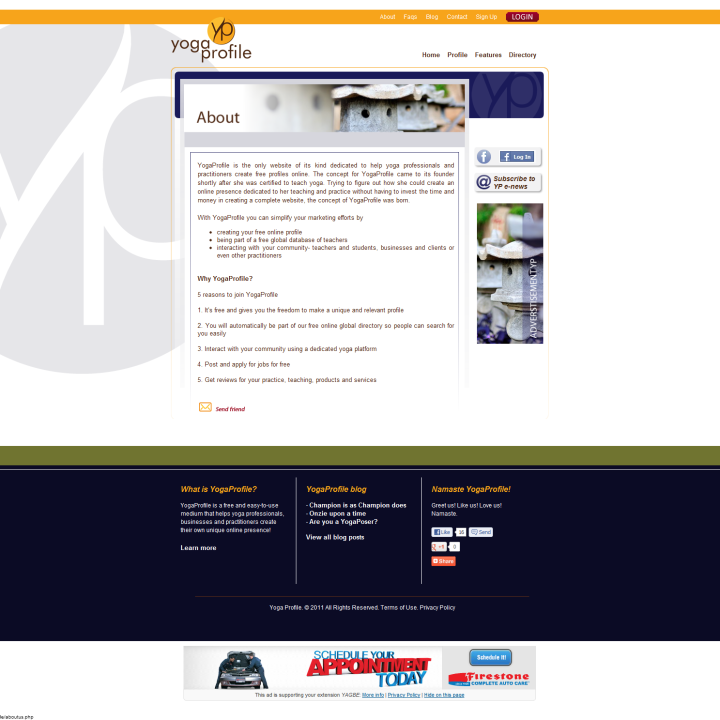 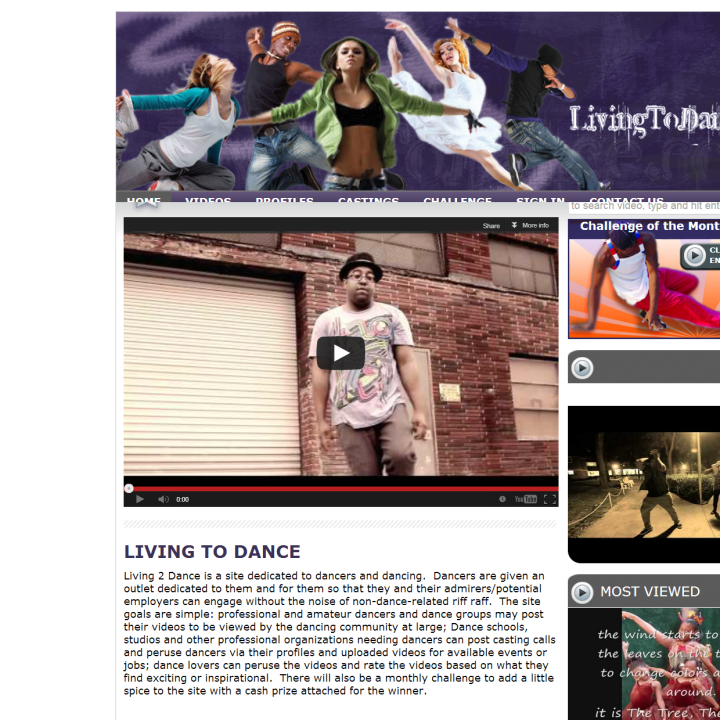 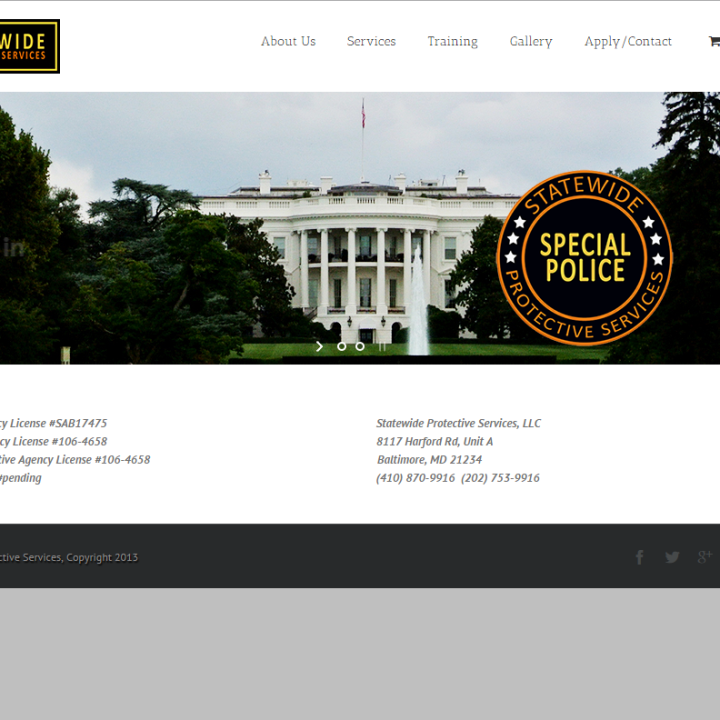 She did all the initial design for the project, and I put everything together into a website. 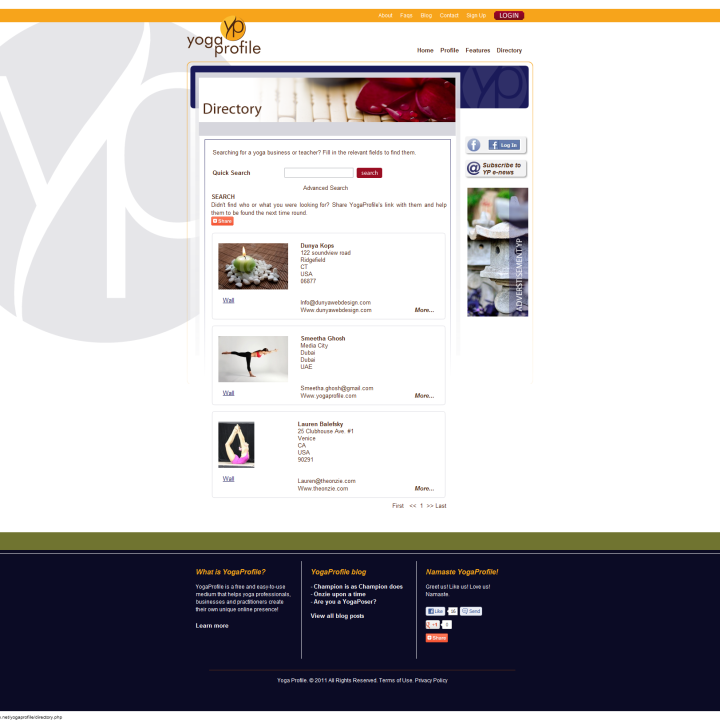 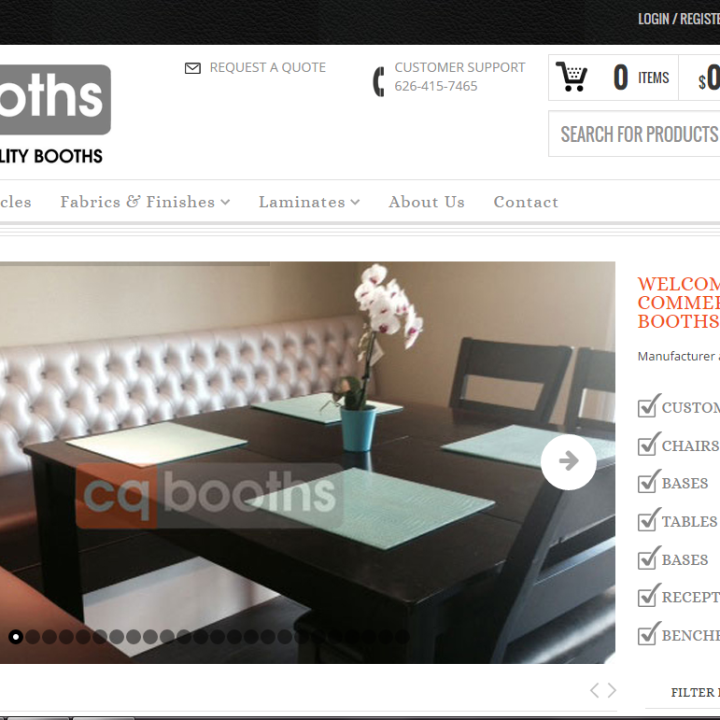 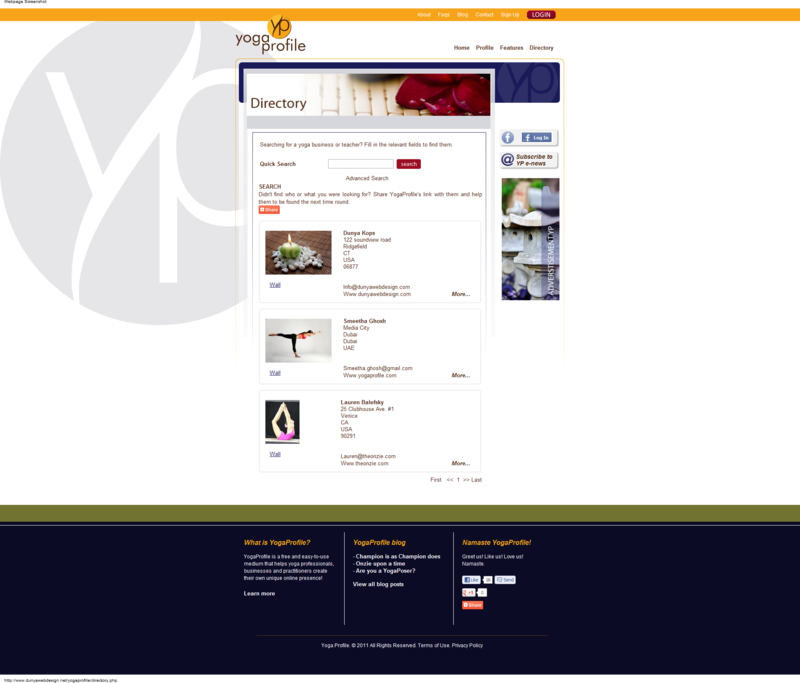 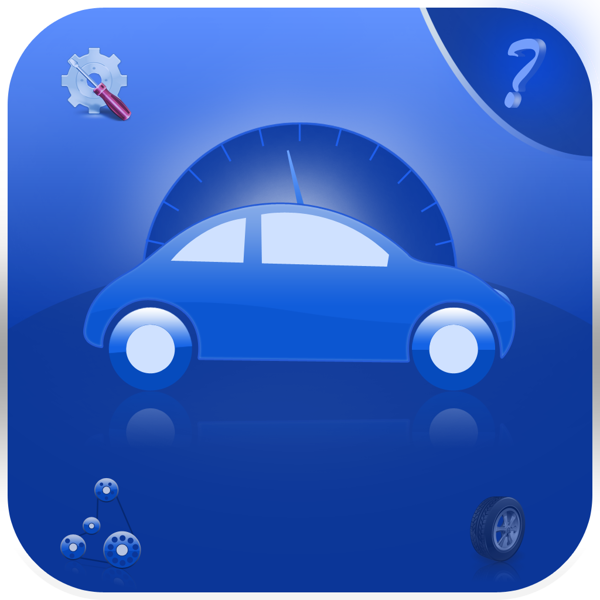 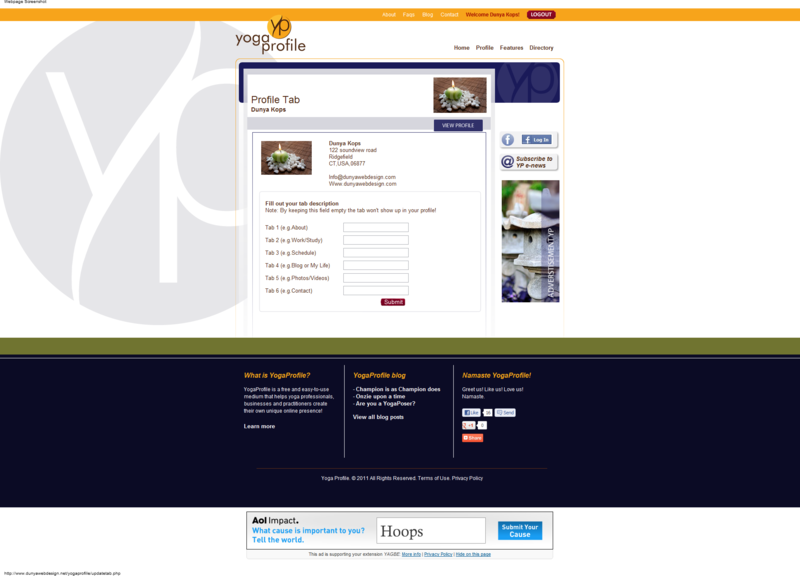 The website has a lot of functionality built into it, both from an admin stand point, and from a social networking stand point. 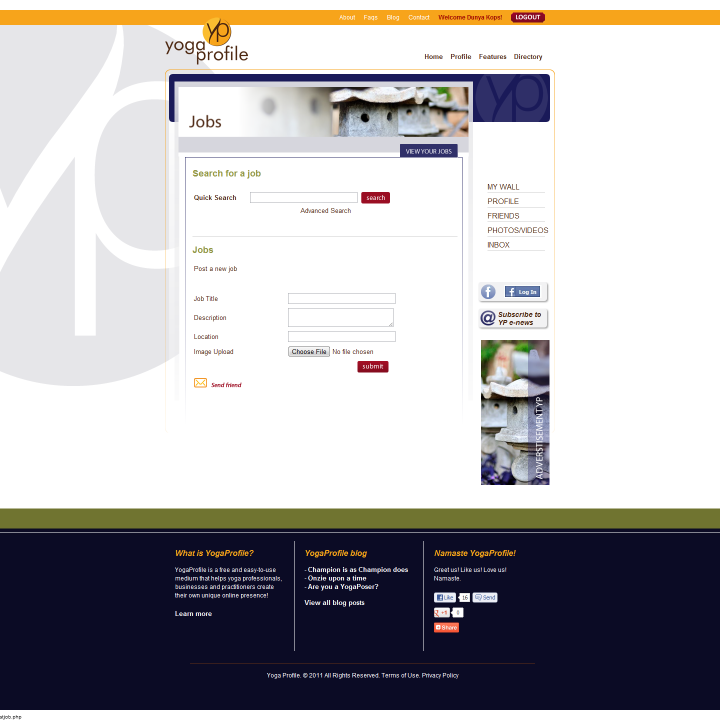 The system features free profiles, paid profiles, massive admin panel giving the administrator full control over all aspects of the site, full user membership systems, free job directory, and tons of social networking utilities built right into it. 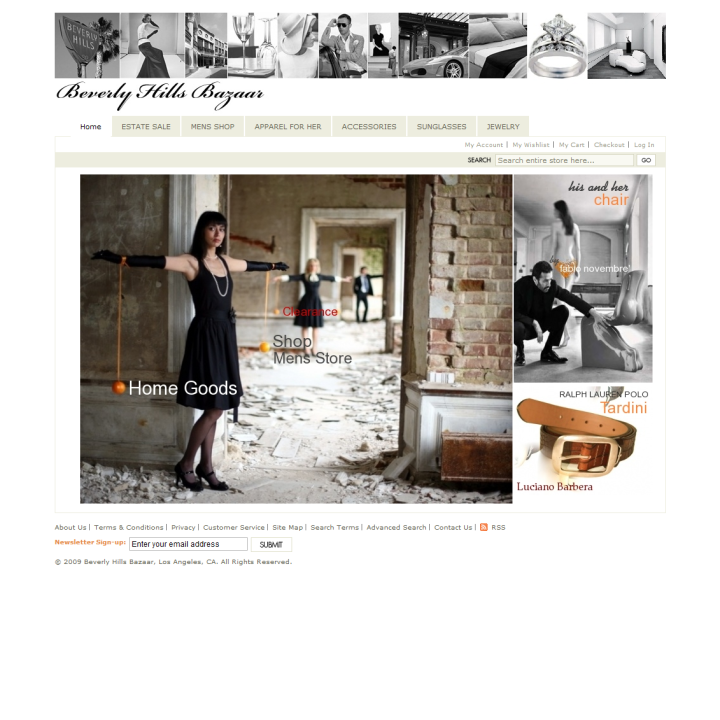 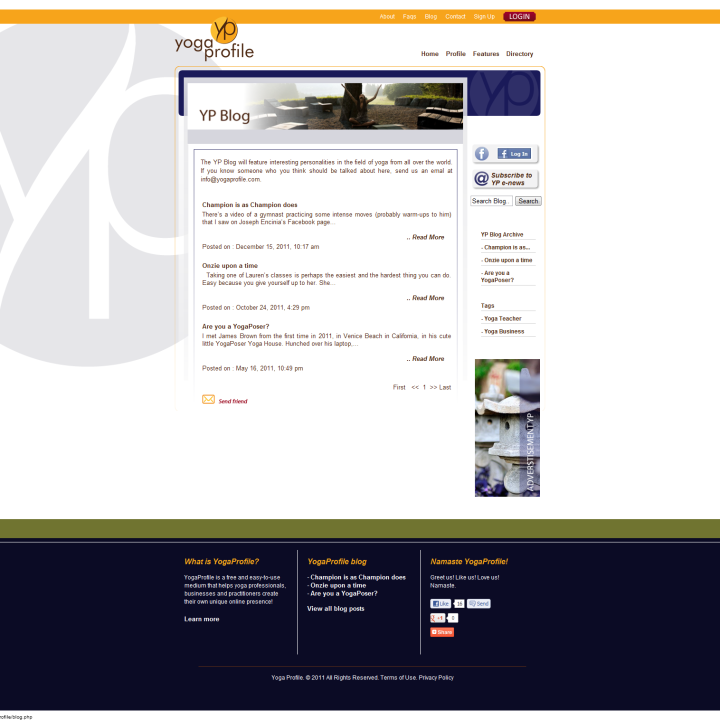 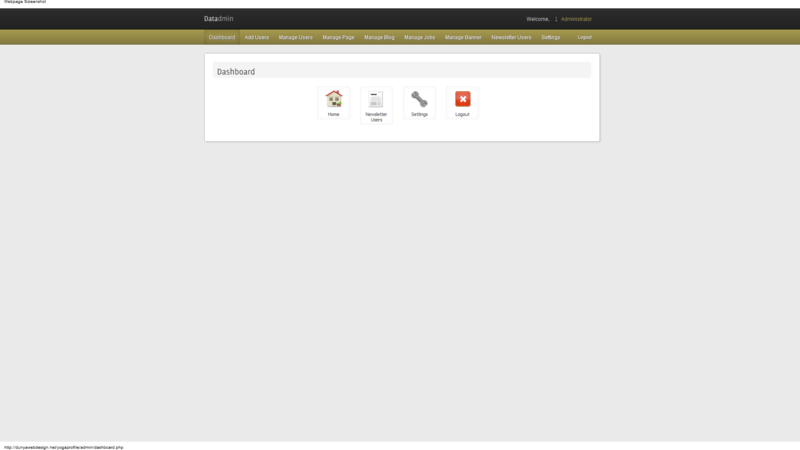 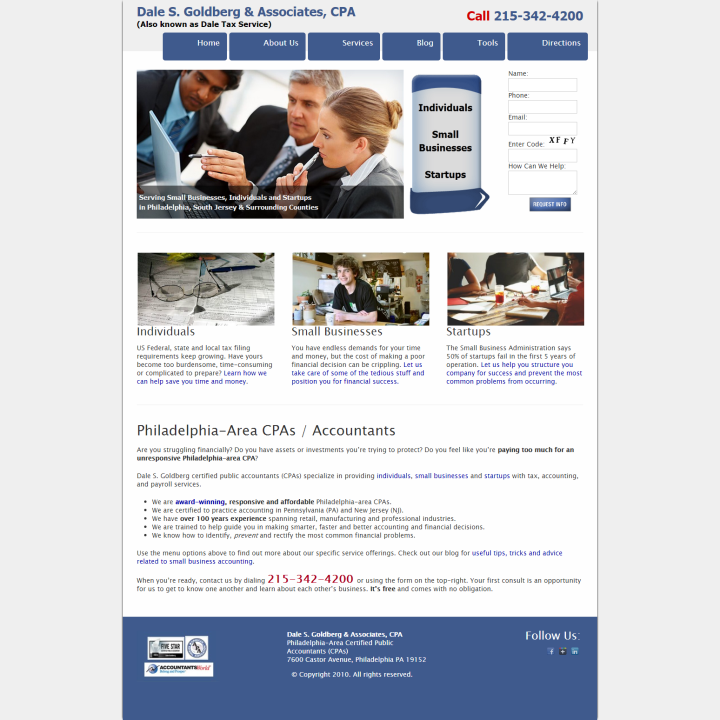 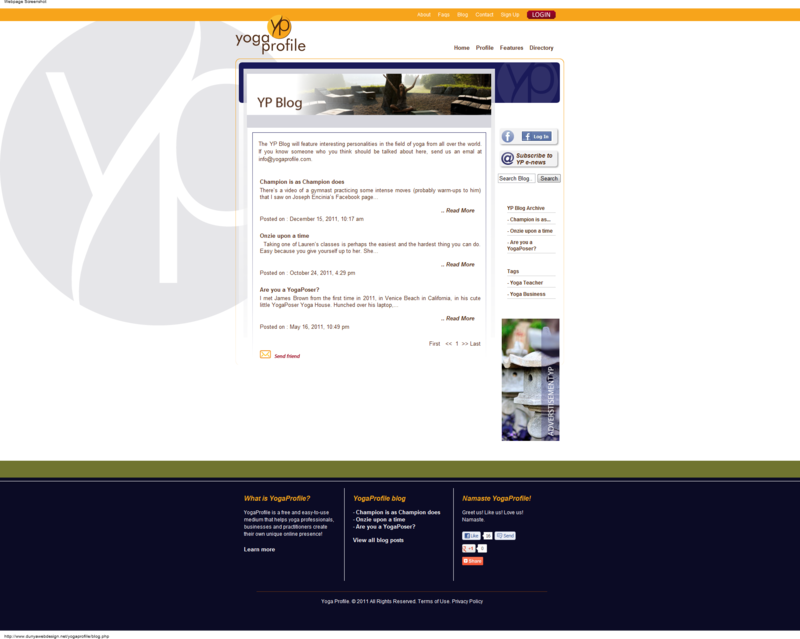 On top of that, it features a built in super administrator blog, and various other utilities. 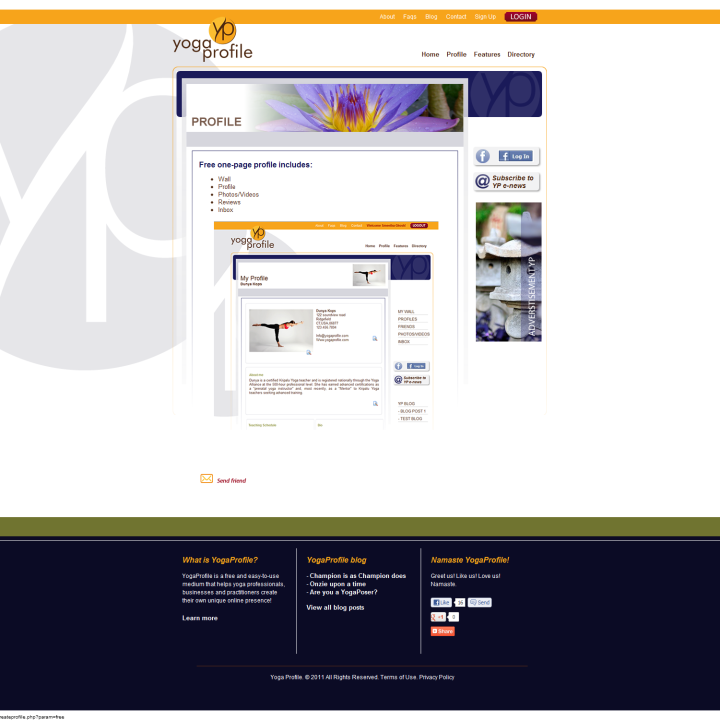 The free profiles feature your own personalized wall, profile, photo/video upload and management, reviews, and a built in internal messaging system (along with a host of social networking features). 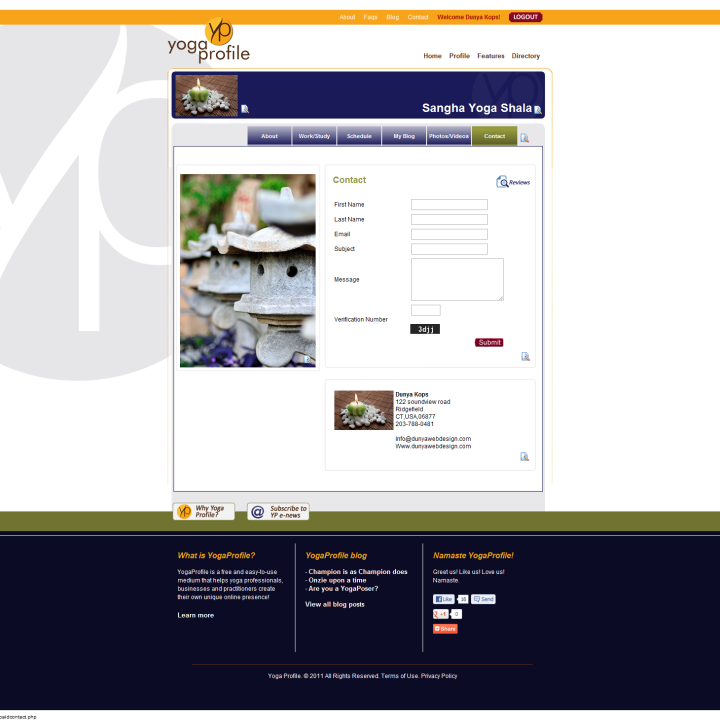 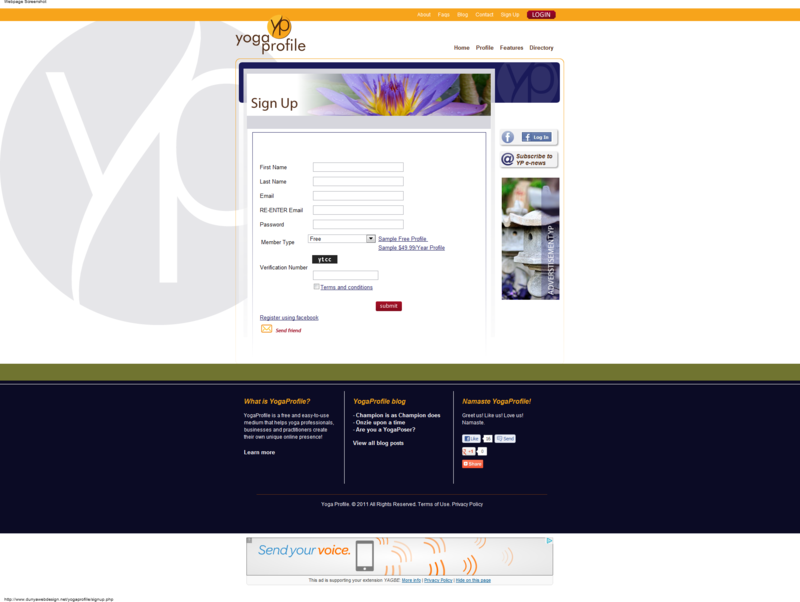 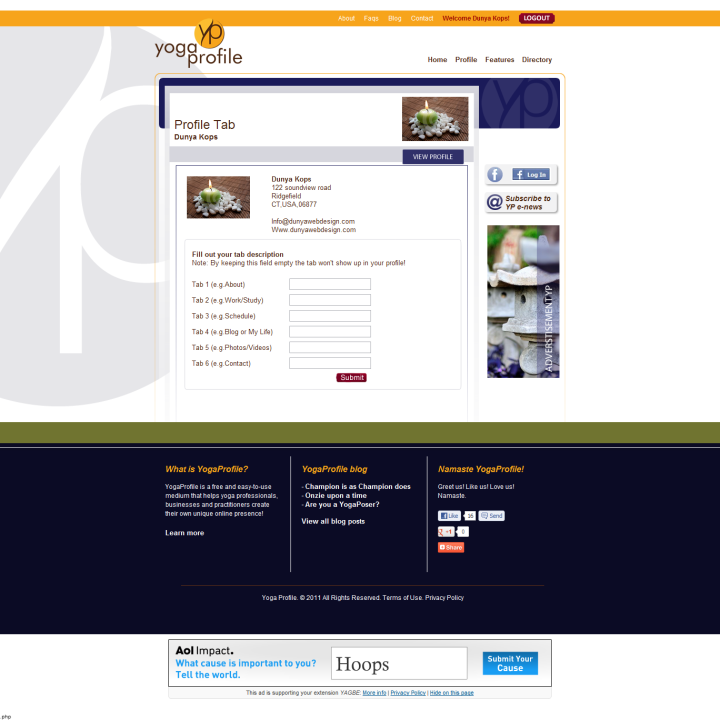 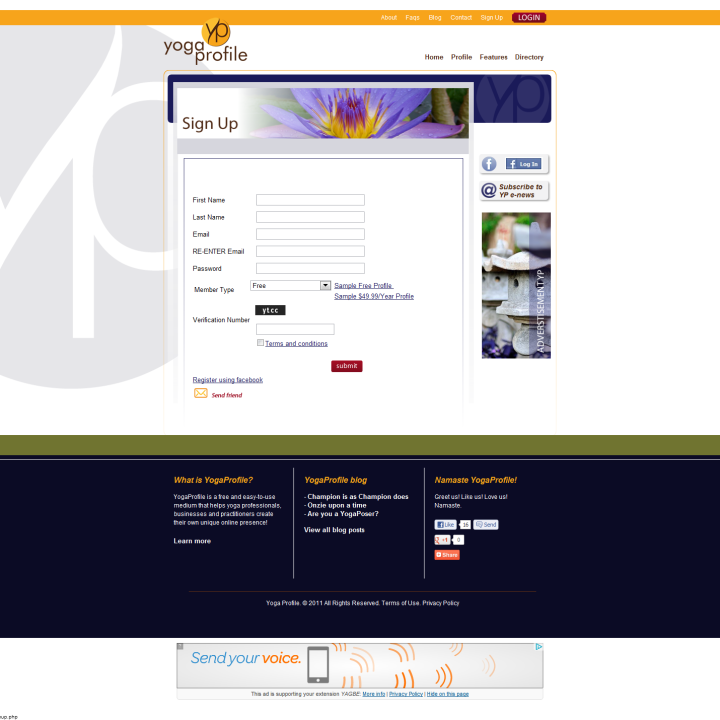 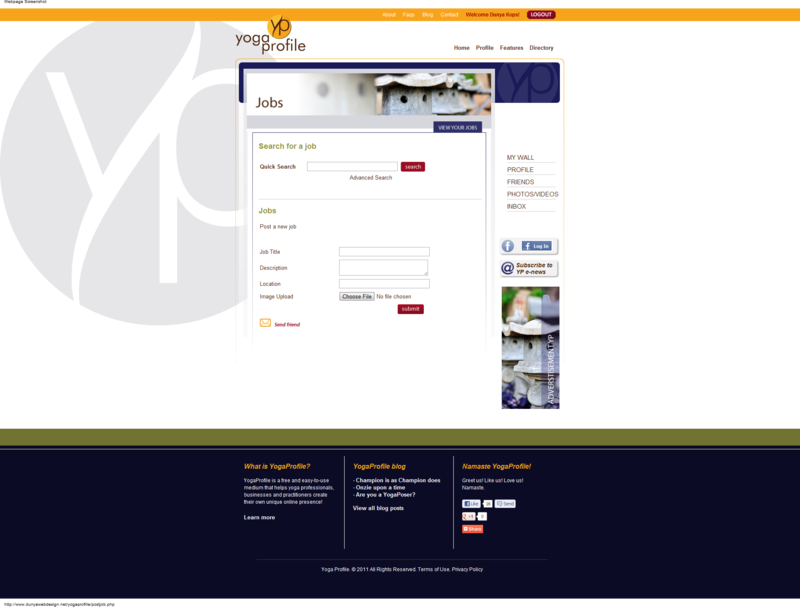 The paid profiles features a built in Yoga Profile website, built in scheduling system (Including a fully functional custom calendar), a built in messaging system, a host of social networking features, a built in YogaProfile blog (or third party blog if they so choose), the ability to rename all pages on their profile, Photo/Video upload and management, and massive assortment of social networking features. 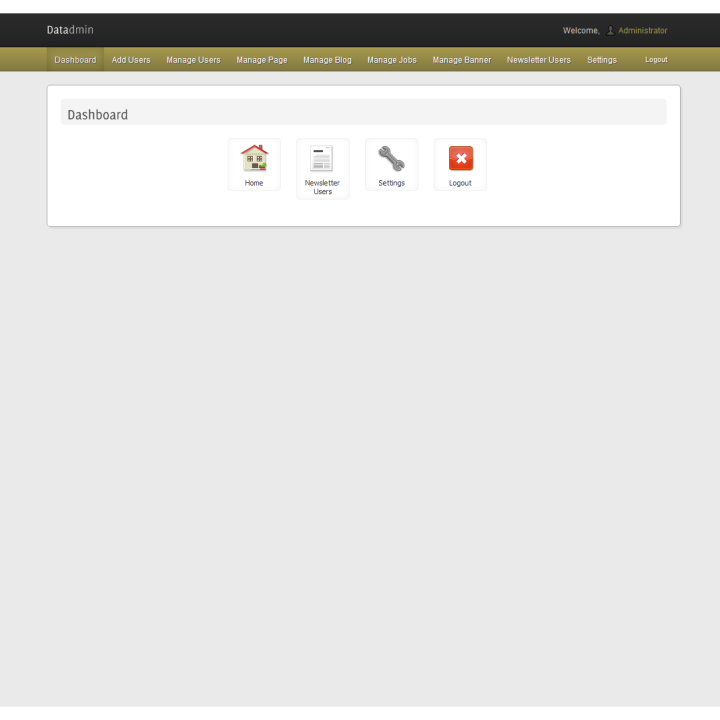 The calendar has a built in scheduling system so you can keep track of your own schedule and book appointments.